Showy subtropical flower from South Africa, from an evergreen herbaceous plant with strap-shaped leaves arranged as a fan. Showy subtropical flower from South Africa. 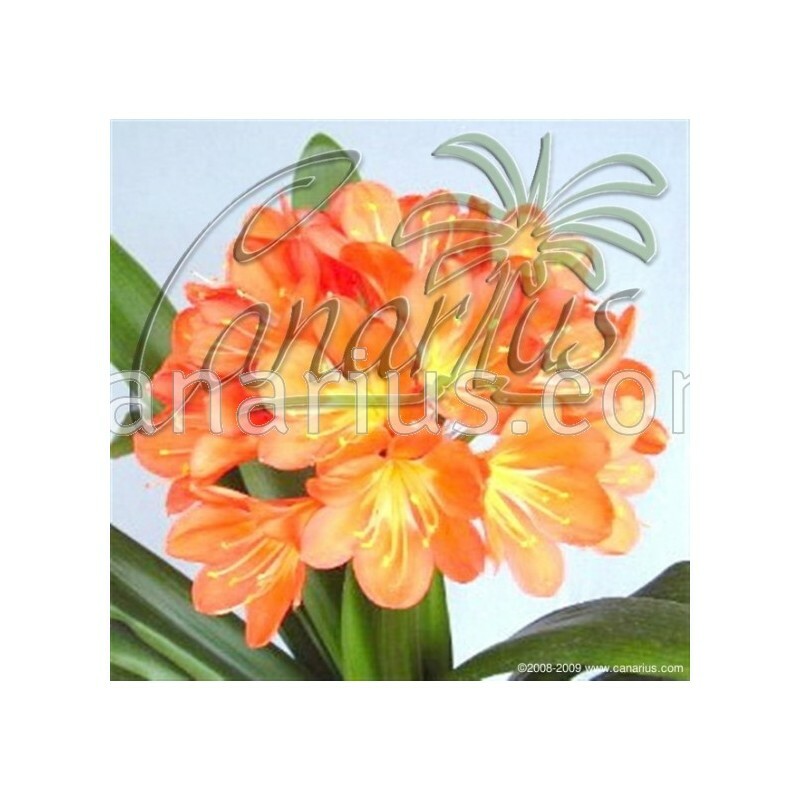 Clivia minata is an evergreen herbaceous plant with a bulb-like structure and strap-shaped leaves arranged as a fan. 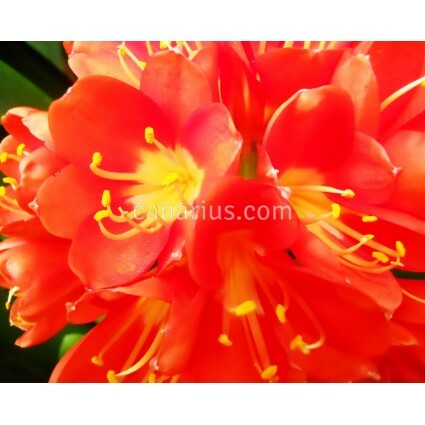 As weather warms up in spring-summer, they bear spectacular groups of bell-shaped orange-red flowers with paler throat. It naturally grows in the shade of trees and shrubs in South Africa. 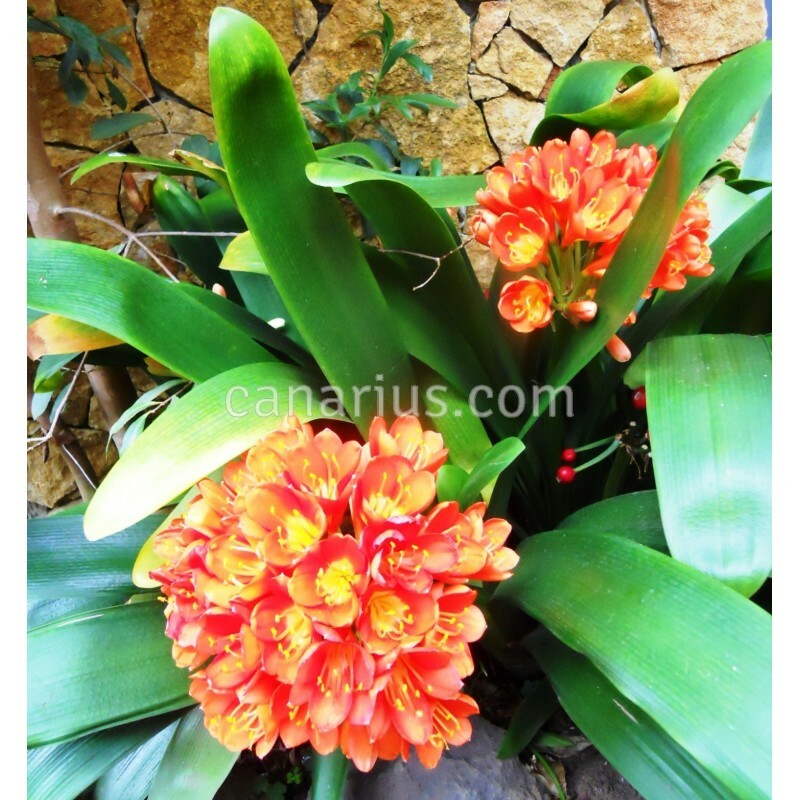 In Victorian times this beautiful plant was very popular for indoor use in England and Europe. 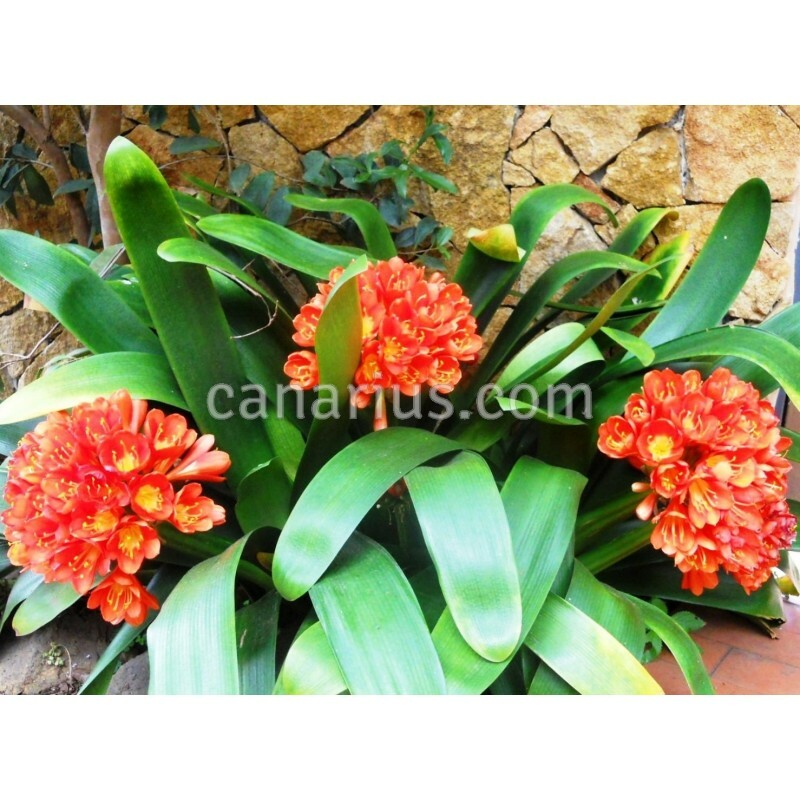 Clivia does well in Northern latitudes but is frost sensitive and should be protected. It does fine as a house plant and can bloom each year. 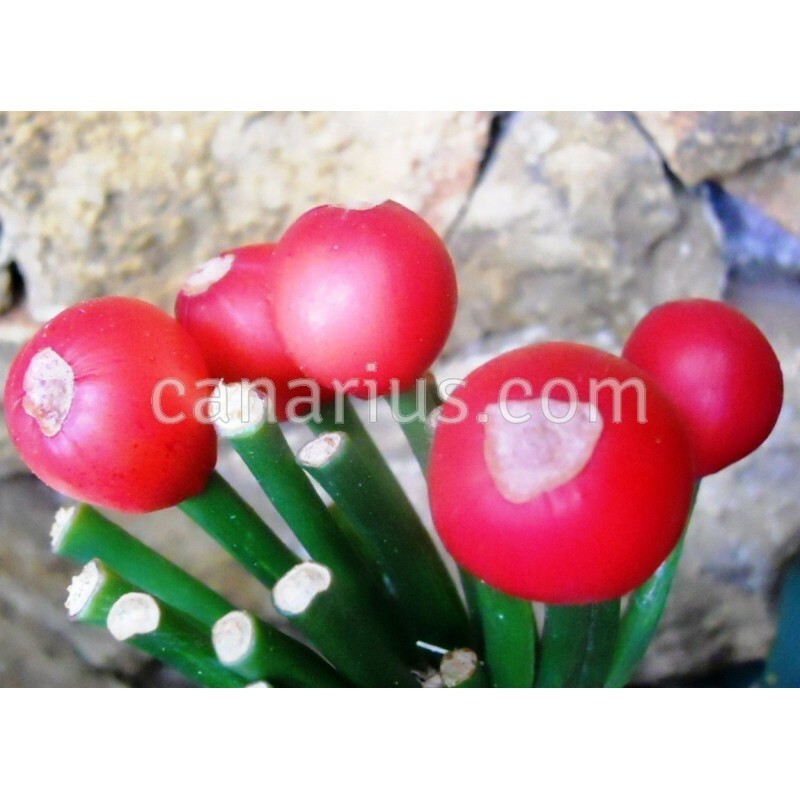 Canarius offers three years-old seedlings that can start blooming in one year. We ship a 2-3 years old plant, bare rooted in sphagnum. It can bloom in one year or even less.